Halloween is almost upon us, and if that doesn't make you want to watch scary movies about ghosts and unsuspecting people running through graveyards, then we don't know what will. For the traveler, this season brings plenty of chances to indulge in some of the spookier parts of the world, from haunted hotels and legendary fortresses to the final resting places of the long deceased. 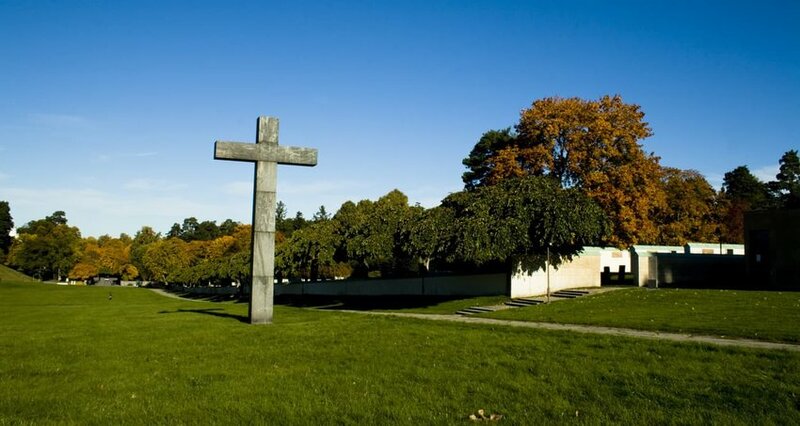 So we've put together a list of incredible cemeteries around the world that are worth the trip. While the St. Louis Cemetery No. 1 is the most visited in New Orleans, primarily for its stories of hauntings and its famous "Voodoo Queen" resident, Lafayette Cemetery No. 1 is one of our favorites. Frequent flooding of the city posed a problem to the people of New Orleans, and thus the elaborate above-ground graves were born. These decaying gothic structures contrast with the greenery surrounding it. 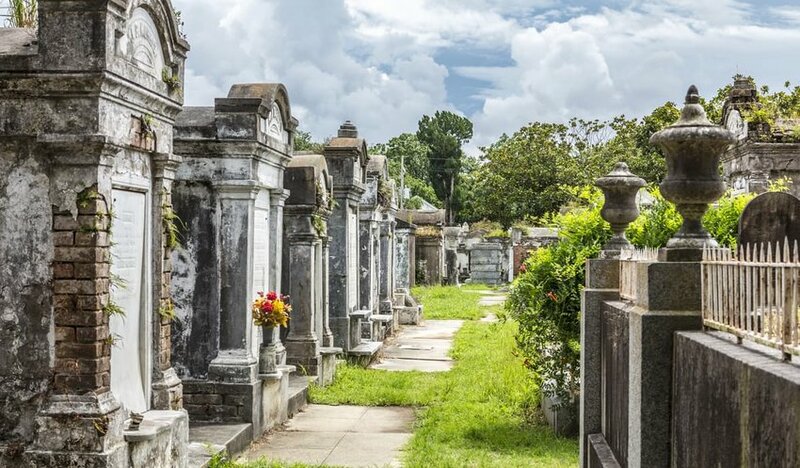 This cemetery is located under the leafy trees in the Garden District, and unlike the St. Louis cemetery, you don't need to join a tour in order to visit. Hallstatt has long made the Instagram rounds as one of the most stunning small towns in Europe. So it's only fitting that the local cemetery matches. Peering out over the tranquil lake, these graves have a perfect view for eternity. 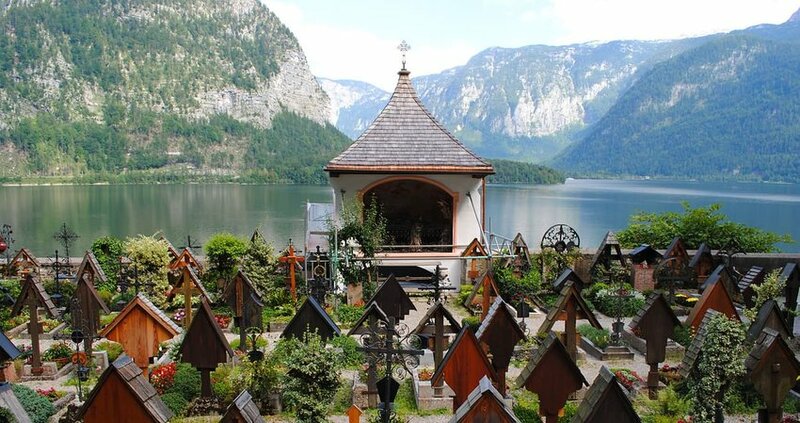 The small chapel, Hallstatt Charnel House, also houses over 1200 skulls (more than 600 of which are painted and sorted by family). The largest graveyard in Japan is part ancient shrine, part sculpture garden, part cemetery. The temple complex is set in a quiet forest, and continuously-burning lanterns light to way to the mausoleum of the monk who founded the complex over 1,000 years ago. Monuments range from Buddhist statues to spaceships, which are more often than not touched by emerald moss. Once, Prague was a flourishing center for Jewish culture. Then World War II happened, and much of that population was exiled or transported to concentration camps, their communities and relics destroyed. 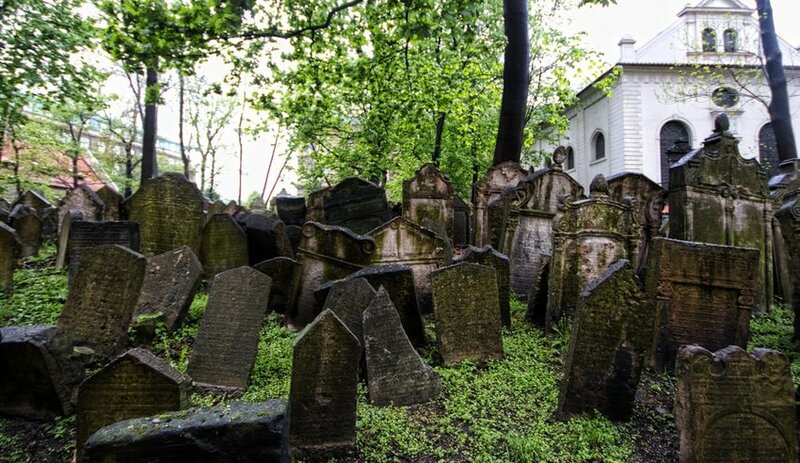 The oldest surviving Jewish Cemetery, however, is a testament to the people who made the city home. 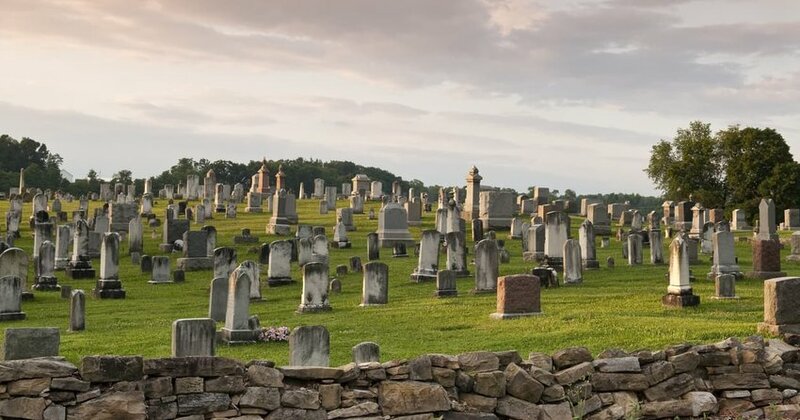 With the earliest tomb dating back to 1439, this cemetery contains over 12,000 uneven headstones packed closely together, jutting out of the ground for an asymmetrical but beautiful resting ground. Set in the emerald-green grass around the ruins of St. Andrews Cathedral, this graveyard is quintessentially Scottish. The grounds were abandoned in 1561, and the area soon fell into disrepair. 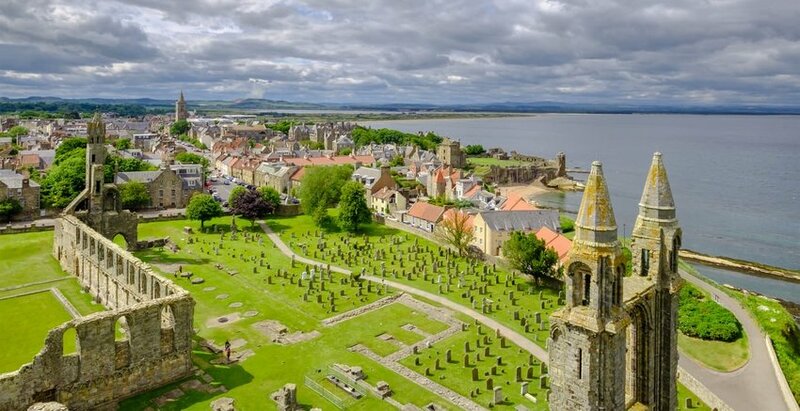 Today, however, you can tour the ruins of what was once the largest church in Scotland, and walk among those buried with a view of the sea. Born from an international competition for the design of a new cemetery in 1915, Skogskyrkogården reflects the tranquil natural setting for a peaceful resting place. Named a UNESCO site in 1994, the site blends 20th-century architecture with its natural environment, and has inspired designers for cemeteries around the world. 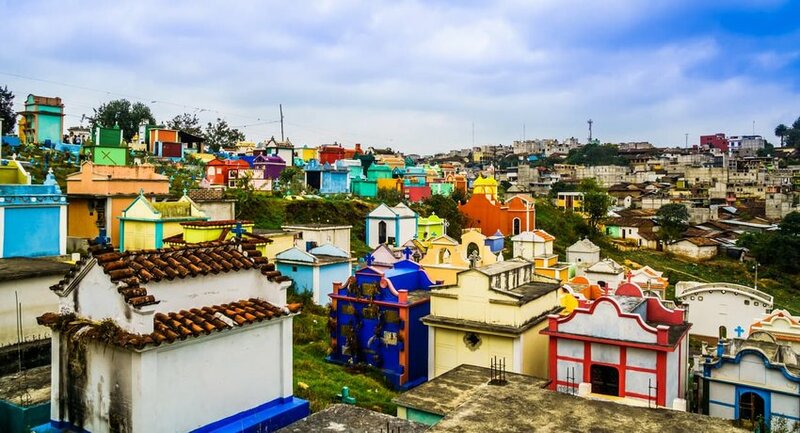 Another bright and colorful cemetery, the Chichicastenango Cemetery in Guatemala is steeped in Mayan tradition. 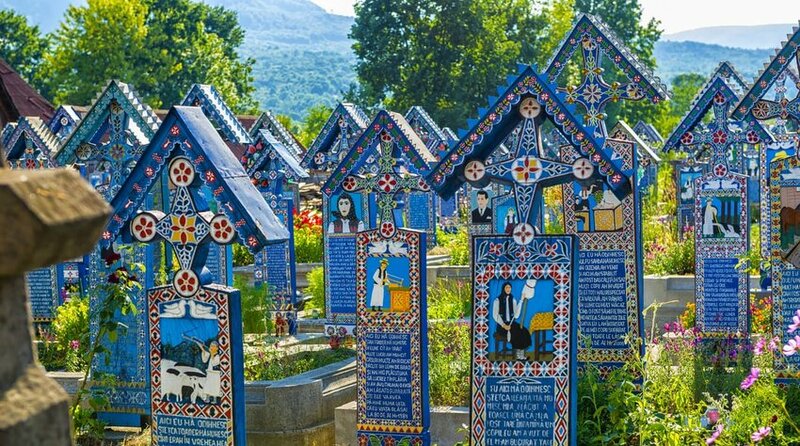 Painted crosses and mausoleums symbolize who the deceased were in their life - for example, a turquoise grave indicates the buried was a mother while grandfathers are marked in yellow. Though some graves give up the symbolism and are just painted in the departed's favorite color.